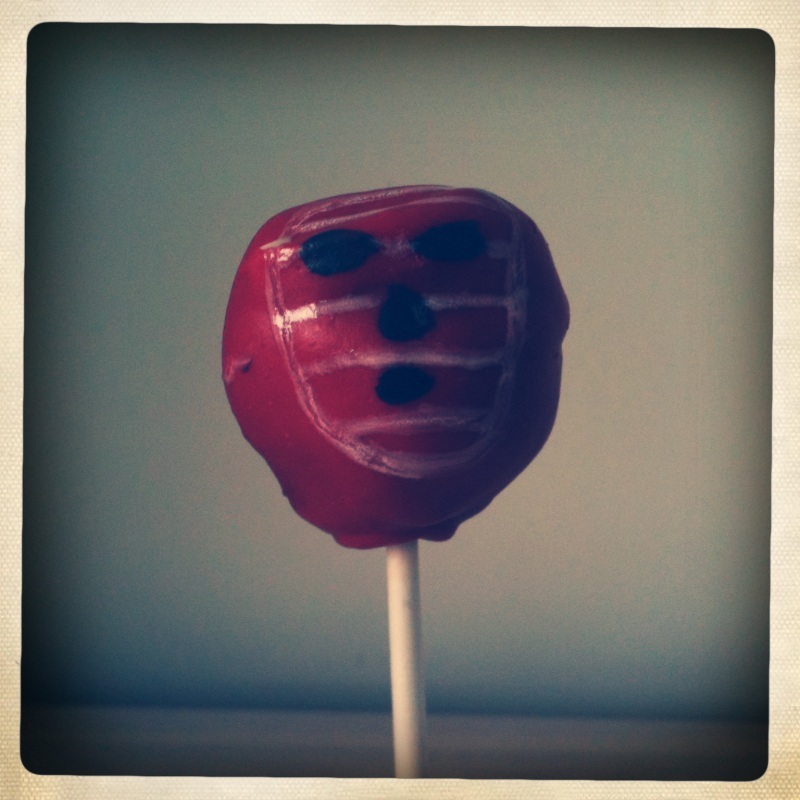 The three people that I told about my plan to make Kendo Nagasaki cake pops probably thought I was joking. I wasn’t. 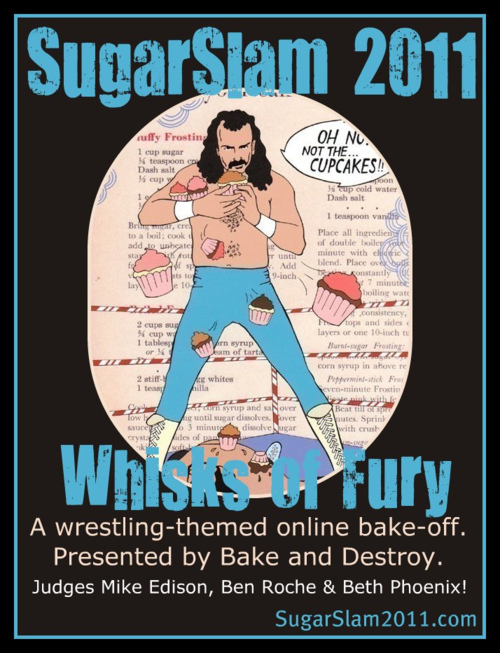 As well as being a cakey representation of cult ’70s and ’80s wrestler Nagasaki (and possibly some sort of cry for help), they’re also my entry for the wrestling-themed SugarSlam 2011 bake-off run by Natalie over at Bake & Destroy. For the uninitiated, Kendo Nagasaki was a masked wrestler who used to dress as a Japanese Samurai warrior, complete with ‘hypnotic’ powers, despite being a bloke from Stoke-on Trent called Peter Thornley. No 1980s Saturday afternoon was complete without watching a bout involving Nagasaki, Giant Haystacks or Big Daddy on ITV. My somewhat ham-fisted baked versions of Nagasaki are cake balls made from red velvet sponge and cream cheese buttercream icing, covered in red candy melts and painted with white cocoa butter. Whatever next. Giant Haystacks cake, anyone? Update: Voting for the SugarSlam 2011 People’s Choice Award is now open so if you like my cake pops please do head over to the Flickr gallery and vote for me by leaving a comment on my picture. You can check out all the entries here. They are amazing. Update: Voting is now closed. Check out the winners over at Bake and Destroy. 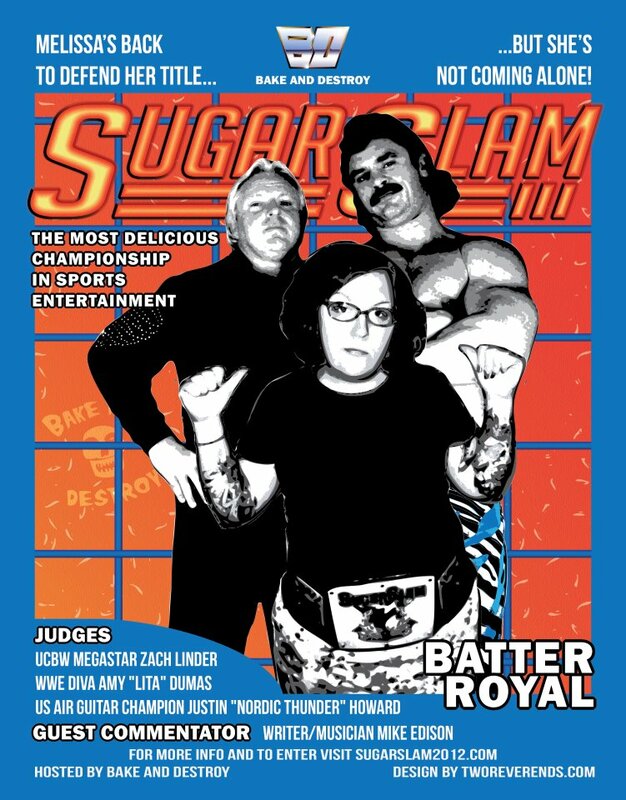 Being a huge fan of any kind of non-twee baking, I was pleased to see that my favourite US blogger, Natalie at Bake & Destroy, is once again running the SugarSlam wrestling-themed bake-off. Having grown up in 1980s England – the era of rather non-glam contenders like Big Daddy and Giant Haystacks – my knowledge of wrestling from the other side of the pond doesn’t go far beyond Hulk Hogan, The Undertaker and Rowdy Roddy Piper. I’m still tempted to enter the competition though. 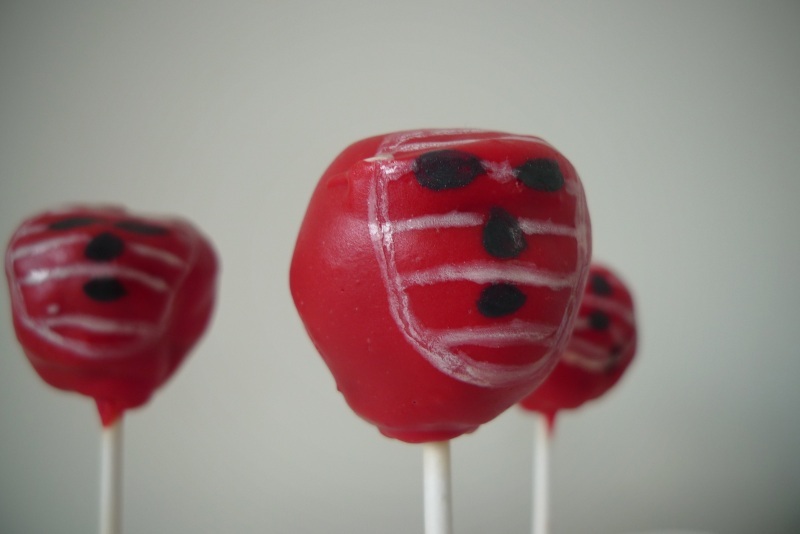 Kendo Nagasaki cakes, perhaps? There are two titles up for grabs – SugarSlam 2011 Champion and People’s Choice – and there’s a massive stash of prizes on offer. The contest is open now and runs until 11 July 2011, so there’s plenty of time to get your bone-crunching baked goods in order. For more info, check out the official rules over at Bake & Destroy.